Many online slot gamblers and gamblers in general have become famous over time for a varied number of reasons. Gamblers across the world have eyes on them a lot of the time as they’ve managed to grow both an audience and a following. Some of the names in this article have been big winners, while others have been big losers. Some guys have cheated, hustled their way up and others are professionals whose luck has either ran out or became the stuff of legends. You can read more about each of them below. 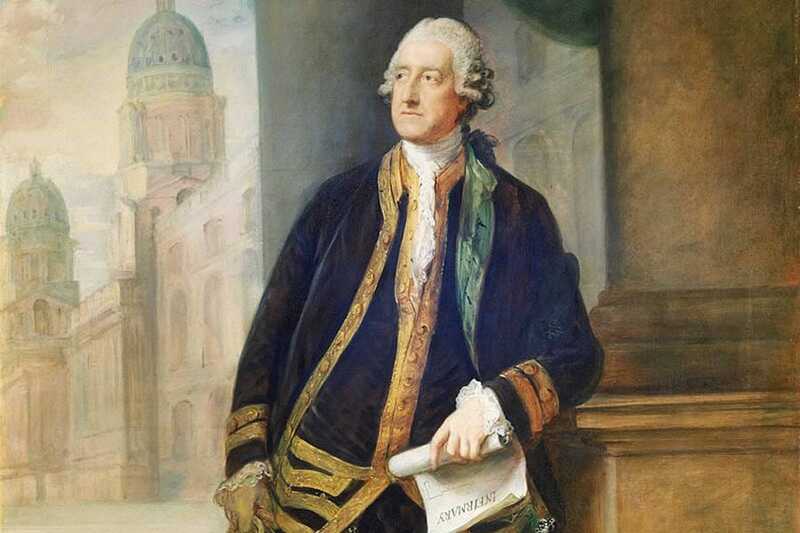 John Montagu was a British statesman and the 4th Earl of Sandwich who lived in the 1800s. Montagu had positions in the military and was a political figure as well. One of his favourite pastimes was gambling. However, he is not on this list because of his gambling exploits, but rather his invention of the sandwich. But the two are connected. Legend has it that during some of his lengthy sessions of gambling, Montagu would snack often and asked for slices of meat inserted between two pieces of bread. His mates noticed that he would do this often and began placing their own orders as “same as Sandwich”. Ultimately, the snack became ‘the sandwich’ and the name has stuck to this day. Of course, there is not much information to make this claim credible but it has solidified Montagu in gambling history. As we said earlier, some gamblers become known for the wrong reasons. Brian Molony is one of them. Molony was a compulsive gambler who made the headlines frequently due to his poor gambling habits. He misappropriated company funds of over $10 million to fund his frequent casinos trips to Atlantic City, losing the majority of the money very quickly. His theft was exposed in April 1982 and he was placed under arrest. 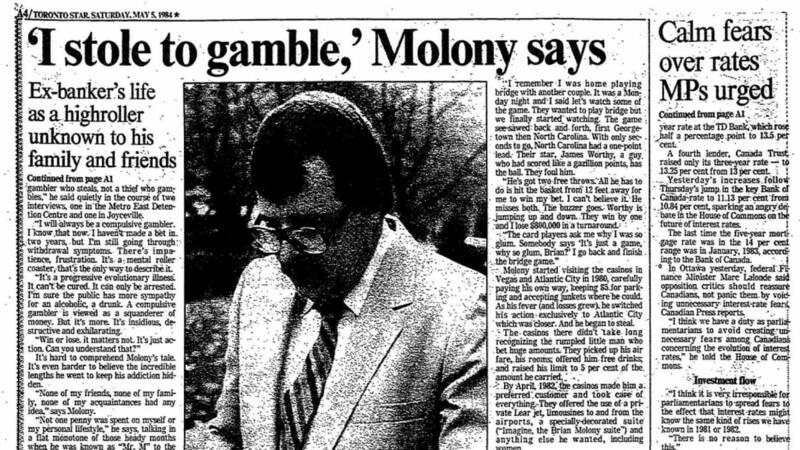 Molony had lost close to $1 million at Caesars just a day before the arrest which landed him a sentence of two and a half years’ prison time. The book titled Stung was actually written about him and his gambling exploits. A movie, ‘Owning Mahowny’ was also developed about his story. James Butler Hickok, aka Wild Bill, was a gunfighter, a lawman and a gambler. All the makings of a good story! Wild Bill was the most famous gambler from the American Old West era. His go-to game was poker and he was so good at it that he was inducted into the Hall of Fame long after his passing. In 1876, Hickok was at one of his favourite saloon bars playing poker with his back facing the door. Jack McCall fired a gun at Hickock and killed him instantly. It’s not known for sure why he shot him in the head but some say it’s because he’d lost a lot of money to him. 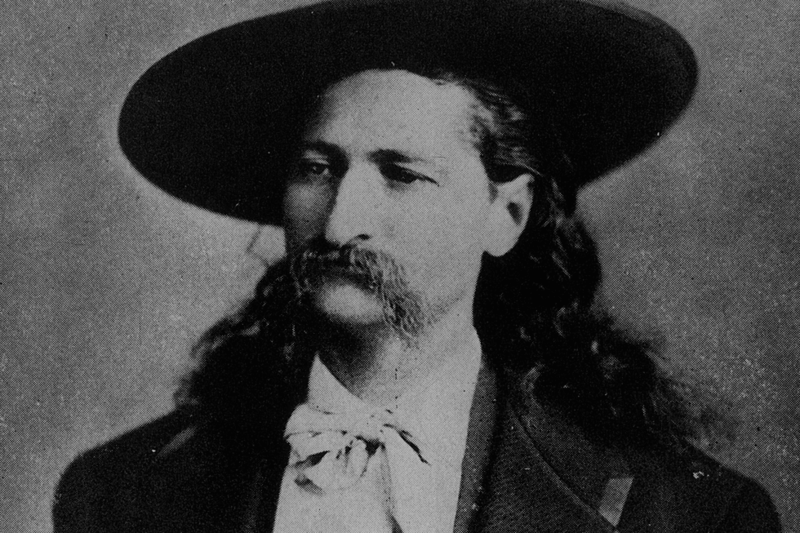 At the time of his death, Hickok was holding a two pair – eights and aces. Today this hand is referred to as the dead man’s hand by poker players everywhere. 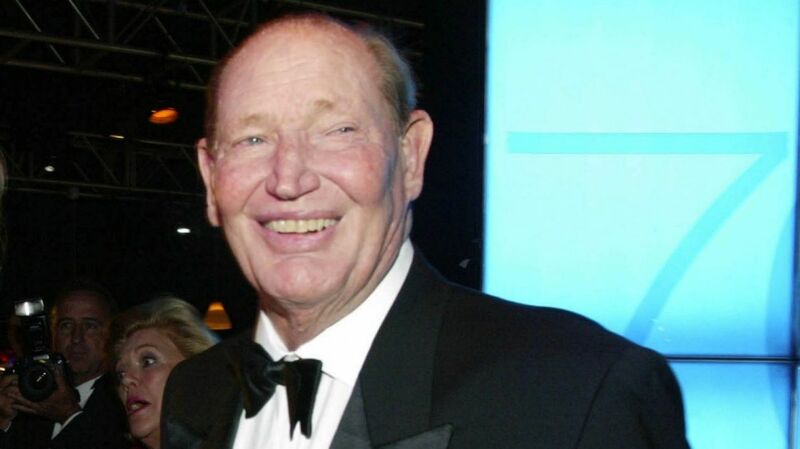 Kerry Packer was an Australian based media mogul who loved to gamble. He was a successful businessman credited for establishing the World Series Cricket, but is mostly remembered for his gambling. Packer died in 2005 at the age of 68. 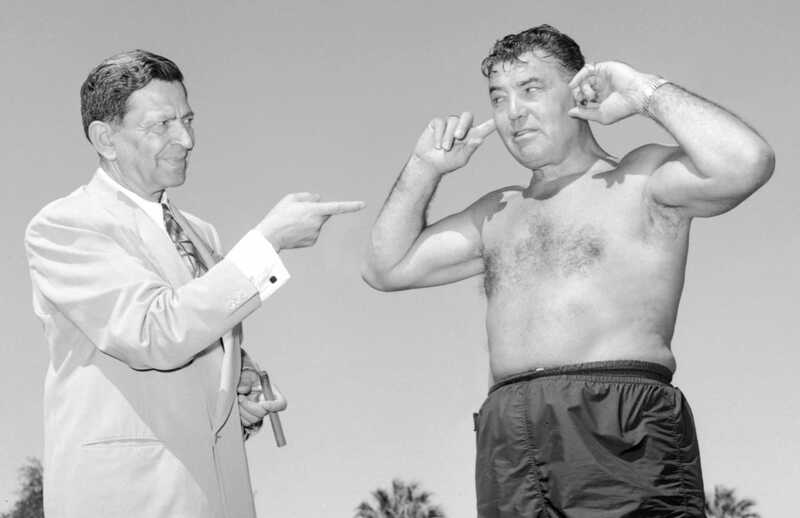 Packer was a horse racing gambler placing the largest bets on top of his gambling in Vegas and all over the world. He would always gamble the highest possible stake and consequently incur millions of dollars in losses. Not to say that he wouldn’t win every now and then too. With many legendary stories attributed to Packer, he surely is one for the ages. He once turned up at a Las Vegas establishment where a table had been reserved especially for the mogul. However, when he arrived the key had been misplaced by one of the staff. Not to disappoint Packer, the dealer grabbed a crystal ashtray and smashed off the lock as to not disappoint him. This just goes to show the level of respect and the power he had in casinos. Known as a man who would call up and ask how much they had in the vault, he was one to be feared and loved in the top casinos of vegas. Archie Karas is one of the most famous gamblers of all time and considered as the greatest one too. Archie has won and lost a huge amount of money several times. Of course, this seems like a paradox- a great gambler losing fortunes, but let me explain. Karas is a Greek-American who ran away from home when he was 15. 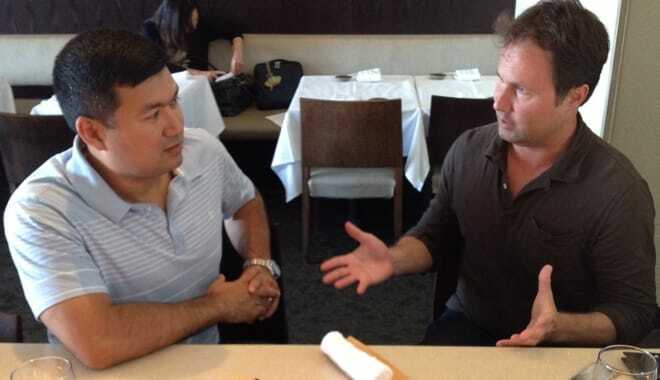 After going to America, he started working odd jobs like waiting in restaurants, etc. While working at the restaurant, he began building his skills by winning money games. His opponents became fewer and fewer and he started playing poker. Archie built his bankroll to more than $2 million over time. By December 1992 all he had was $50. He headed to Las Vegas looking for a change in fortunes and that’s when his amazing run started. 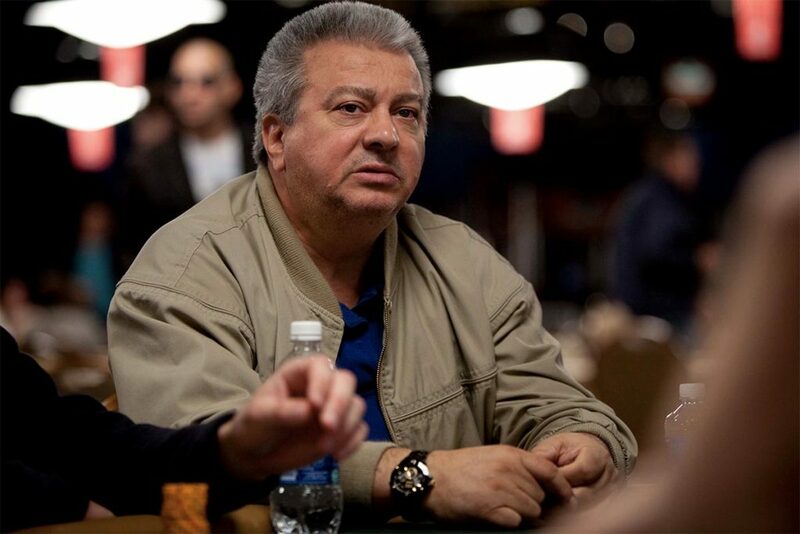 Karas is most known for the incredible winning streak he had in the early 90s- 1992 and 1995 where he used 50USD to get over 40 million USD. This is largest and the longest winning streak that’s ever been documented. Unfortunately, Karas lost all the money throughout 1995 while playing baccarat, poker and dice. Karas has had a few notable wins and losing streaks since then. Nothing too impressive though. He still lives in Vegas today. Nick Dandolos was born in Greece. That explains why he’s called Nick the Greek aka the King of Gamblers. Dandolos was born in 1883 into a wealthy family. He came to the USA and settled in Chicago, where he lived off a hefty allowance from his parents. He moved to Montreal and began horse racing bets. He was successful at it and won quite a significant sum, but later went back to Chicago and lost all his money through playing dice and card games. He quickly got a hold of the gameplay and won more money. Nick said that he continuously won and lost, going from rags to riches several times. Beginning in 1979, a few alumni of MIT decided to take Vegas and Atlantic City by storm with their card counting theories. These players pulled together investments from a large number of people and created an intricate operation of card counting in vegas and atlantic city. Due to its secrecy and high risk gameplay many members left however they were quickly replaced by fresher faces with a taste for danger and blackjack. There has been many iterations of this team throughout the years, all with varying degrees of success. This is mainly due to the clashing of egos and arguments within the ranks. They easily recruited more people interested in card counting whenever the numbers got low. It became so well known that by 1984 kaplan, who was one of the original players, could not show his face in a casino without the risk of being found and thrown out. Every gambling enthusiast has heard of these individuals at some point or another. If you are passionate about betting, then you may consider diving deeper into their histories and seeing what you can learn. Maybe one day you can become as great as these maestros of gambling. Everyone has their own experience of gambling and own opinions reserved for the history of it. Many people treat it with the utmost respect. However, some are just in it for the money and don't care much for the intricacies of the game. Now each of these famed gamblers may seem very different. However, the one thing that links all of them and even us at slotsbaby is the pure passion for gambling, we just do it in a safer, more straight forward way than great Bill Hickok!